The WV800 has a polypropelene tank for maximum durability and 4 casters for ease of use and mobility. It features a 1.6hp bypass motor with a 2 year warranty. Provides 110" of lift plus 95 CFM of airflow which means excellent dry soil and water recovery. Our unique ball float wet shut-off assembly rotates continuously, staying clean and ensuring that water does not reach the motor. 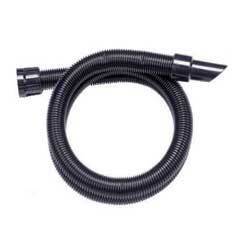 The drain hose makes emptying the water a snap. Excellent 0.5 micron filtration results in 98.60% efficiency for improved indoor air quality.